This weekend....MUSic! Open Mic event. 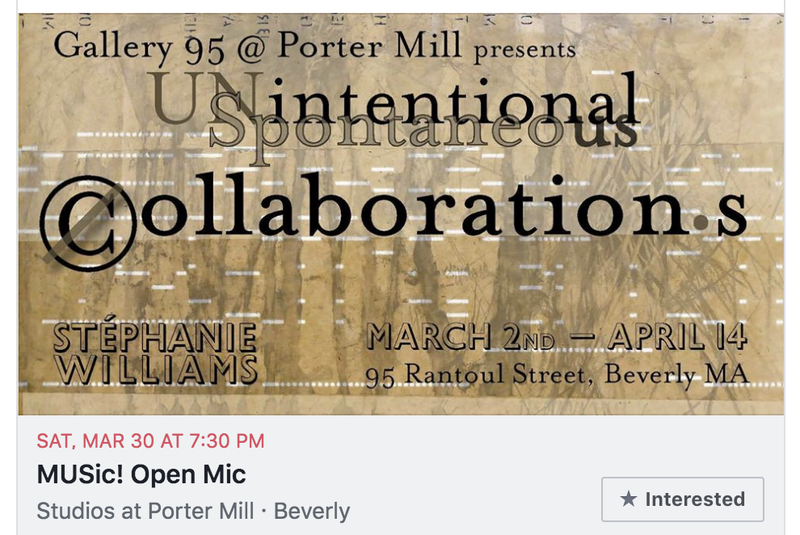 Join us at Gallery 95, on Saturday March 30, for Unintentional Spontaneous Collaborations. Gallery opens at 4pm. Open mic from 7:30-9:30.